If you are looking for the best services of online storage for Android are in the right place because here encontras a list of the top 5 in the world today. The limited storage on your smartphone can get in trouble in critical situations. While smartphones based on the Android operating system with limited storage keep coming several companies have begun to offer services online storage for Android -powered servers in the cloud. After registering on any of the services of online storage for Android , you can upload files from anywhere, make a backup, restore and access your files from any platform. Dropbox is a free online storage very famous worldwide. It currently has over 45 million users and lets you bring your photos, docs, and videos anywhere and share them easily. SugarSync puts all your data from all your computers at your fingertips anytime, anywhere from your Android device. 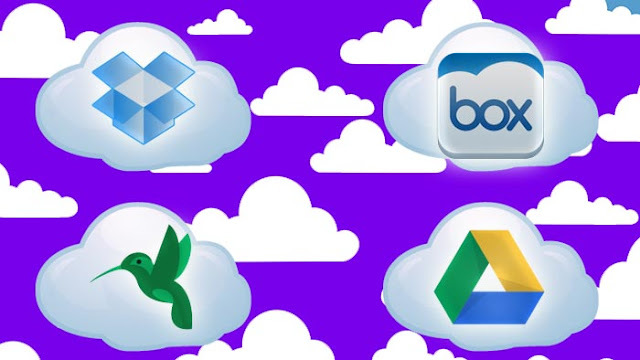 With SugarSync, you get a cloud backup free with which you can synchronize files, folders, share and access your data directly from your Android. BOX provides an easy way to safely share from anywhere. Easily store files online, send big files fast, access content from your Android phone or tablet, and collaborate with others. OpenDrive is a free service that gives you 5 GB of cloud storage to view, share and collaborate on documents. With this you have access to all your photos, documents, videos and data anytime, anywhere right from your Android. Wuala for Android is the safest option for online storage for Android if you're worried about the sensitivity of the data privacy. Wuala encryption engine has a first-hand in the application that encrypts all and each of the charges before sending them effectively through cloud-end.